YAY!! 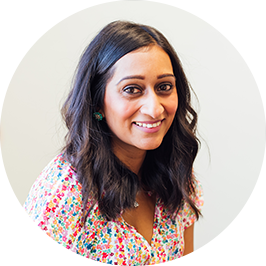 My freelance side hustle business - Krishna Solanki Designs - is a finalist for Marketing and Creative category in the Cambridgeshire Digital Awards 2016. When I finally caught up on my emails and social media tags I couldn’t have been happier to find out that I had been chosen as a finalist for the Marketing and Creative Website category in the Cambridgeshire Digital Awards 2016. Established last year, in 2015, the Cambridgeshire Digital Awards is part of series of similar schemes looking to reward innovation and progressive thinking by businesses, individuals, events, charities or educational establishments. The website Marketing & Creative category is open to agencies, studios and individuals looking to enter a full website or mini-site. Innovation, content and aesthetics are considered particularly important to the judges. Businesses and individuals shortlisted in the categories have been invited to the presentation evening, hosted by the former BBC presenter Robin Bailey. The presentation and winners’ ceremony will take place on Thursday, November 24 at the Cambridge Belfry, in Cambourne.